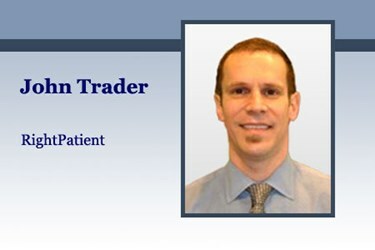 By John Trader is Director of Communications for RightPatient®, the healthcare industry's most advanced patient identity management and data integrity solution. Connect with John on Twitter, LinkedIn, or Google +. As most of us know, The Big Bang Theory is the prevailing cosmological model for the early development of the universe based on the idea that at a point in time, all of the matter in the universe was contained at a single point and then slowly expanded to allow formation of the essential elements that created our universe. It was the single focal point of our existence from which everything we know came into being, and also helps to offer a comprehensive explanation for a wide range of observed phenomena. The Big Bang was arguably the sole catalyst for our existence and was the basis for the expansion and development of everything we are and everything we know. Like the universe, the healthcare industry is, and always will be, in a constant state of change, and constantly expanding. The recent digitization of the industry in particular has unquestionably transformed care delivery, and promises to continue the rapid pace of change for years to come as we bear witness to the fruits of its labor – electronic health records, mobile devices, wearables, digital imaging, wireless sensors and devices, and telemedicine, to name a few.